My apologies, we’ve been pretty bad about updating our blog around here. A whole variety of new dates in TORONTO and HAMILTON have just been listed. This year we’re looking to bring you a wider variety of workshops with special guest artists. 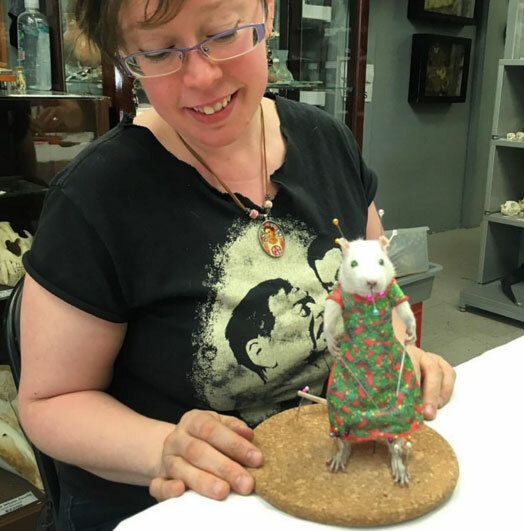 Our most recent update includes our classic ANTHROPOMORPHIC RAT, QUAIL, JACKALOPE HEAD MOUNT, ANTHROPOMORPHIC BUNNY, BEETLES and SCORPIONS. We are also designing some more intensive workshops for our autumn schedule. If there is a particular type of lesson you would like to learn, please let us know! We’ve just added 6 new dates in 3 cities. It’s also time for a major website update. I’ve got so many amazing photos of student projects, and other useful things I’d like to share. If there is something particular you would like to see more information on, please let me know. SUMMER DATES IN HAMILTON AND TORONTO NOW POSTED! We’ve just listed a pile of upcoming summer dates in HAMILTON and TORONTO. CLICK ON A DATE TO RESERVE YOUR SEAT! We’ve just added a pile of workshops through the Winter season. Give the gift of experience for Xmas, or treat yourself to a unique one-day workshop. NEW DATES WILL BE ADDED SOON! We’re just in the process of listing some new dates going into 2018. NEW DATES, NEW MOUNTS : TORONTO, LONDON & HAMILTON!!! We just listed a whole new pile of dates in TORONTO, LONDON & HAMILTON! You may have also notice that we have added a new mount to our workshops, and now offer workshops for JACKALOPE HEAD MOUNTS. JUNE & JULY TORONTO DATES! We’ve just added a couple of new dates for Toronto and are working on our Autumn schedule. Join us for one of our upcoming sessions, we’d love to see you! 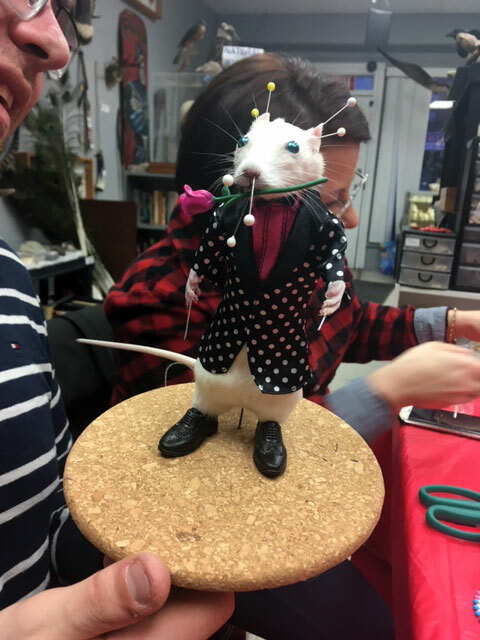 CASUAL TAXIDERMY GOES TO LONDON & NEW TORONTO DATES ADDED! We also listed some new TORONTO dates!